Whether you’re in town or on the trail, the AirZone Z ND18 is a versatile women’s backpack that keeps you cool and comfortable. With a ventilated back, the Z is a great choice for day hikes and multi-use. 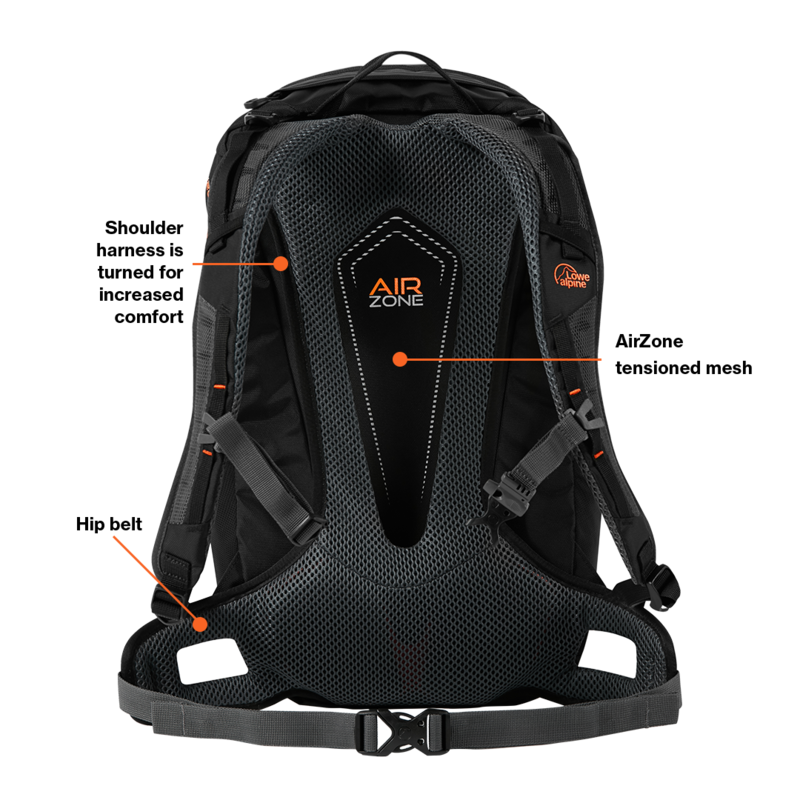 The AirZone Z ND18 features the Fixed AirZone carry system, which uses tensioned mesh and a large cut out space to reduce weight and allow air to move freely between the pack and the wearer’s back. A zipped clamshell opening gives easy access to the main compartment, and side compression straps keep the contents stable and secure as you move. A zipped top pocket, key clip and front stash pocket help organise your gear.